Visual Visitor’s Email Tracking works! Using Visual Visitor’s email tracking works and can help with this. How you may ask? How many times have you written and then rewritten an email communication to a client or prospect and then never received a response? It’s stressful, not to mention downright depressing, right? Did they open the email and it didn’t resonate? Or, equally important, did they not even receive the email and it went into their junk folder? Let’s face it, sending email communications for any purpose – sales, invoicing, etc. – usually leads to many ignored messages, some rejections, and if you’re lucky, a few positive replies. Visual Visitor’s Email Tracking works, and you now have a tool to measure your success! The numbers don’t lie and tracking your emails will improve your chances of closing more deals. You will know when the email gets opened, how many times they get opened, how long it takes for the recipient to open them, and if the links to your website embedded within the email are clicked on. Almost like an email antidepressant for your sales team! Our customers and our team itself has experienced an enthusiasm boost as well as a communication boost from using email tracking. Consider that abovementioned well thought out email that was sent by either a salesperson, accounts receivable team member, or even upper-level management. Say that once that email was sent out, no response was ever received back. Before email tracking, you were left to wonder and maybe even get a little upset over this. 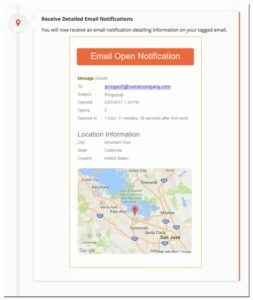 After email tracking, you might not get the response, but you will get the open notifications as well as any links clicked. It is the difference in being able to generate a positive response (your email did get opened, and therefore you were acknowledged) when before there was no response. This positive response matters when your Buyer’s Journey is a weeks/months long process. Maybe you don’t get an immediate email response, but you see that the prospect is engaging in the emails that you send, clicking on the links, going to the products/services pages even if they are not quite ready to pick up the phone and set up a meeting. This is so much better than the waiting game of wondering if they ever opened your email. 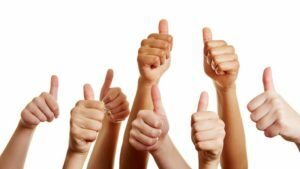 In a business world dominated by electronic communication, any form of positive reinforcement can be the difference between the burned out, angry sales team, and the upbeat, laid-back sales team. We know that people who can find some form of positive feedback during the day are much more likely to stay motivated and work harder. Take the Visual Visitor Email Tracking challenge and try it Free for 14 days!